Exquisite in detail, powerful in impact. 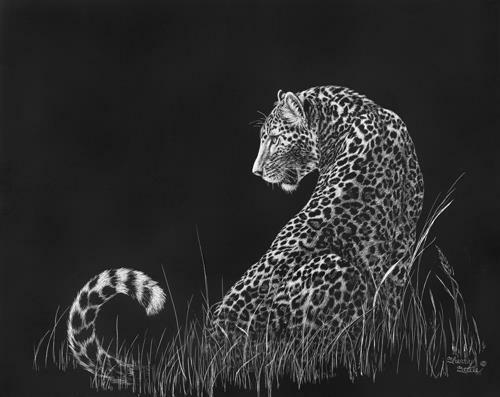 This original scratchboard of a leopard pausing on his midnight patrol encapsulates the natural beauty of the creature in his most perfect element. Soon to slip away into the shadows, his presence will still be felt in the still air behind him. Richly framed in Sherry’s celebrated style, this piece will embellish the finest of decors.